Literary Agents for Children’s Books – Find all children’s book agents on our List of Literary Agents using the official Directory of Literary Agents™. For example: Laurie Abkemeier (DeFiore and Company), Josh Adams (Adams Literary), and Miriam Altshuler (Miriam Altshuler Literary Agency). 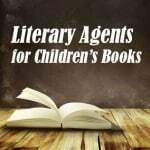 How many literary agents for children’s books are there? Where are they located? And what do they want? The official Directory of Literary Agents™ has detailed book agent biographies, contact information, and more for all children’s book publishing agents. As soon as you enter your name and email address, you’ll see complete profiles for all Literary Agents for Children’s Books in our Directory of Literary Agents. Here’s a sample listing from the directory. Most book agent directories (print and online) are outdated, incomplete, and riddled with mistakes. If you rely on those directories to find Literary Agents for Children’s Books, you’re going to hurt your chances of getting a literary agency to represent you. So enter your first name and email address now. 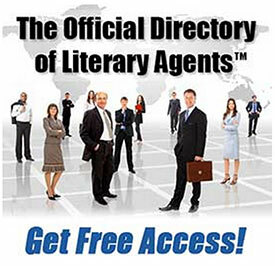 Get FREE instant access to the most trusted Directory of Literary Agents (in print or online) available today. 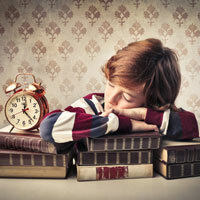 Finding the right publishing agents for children’s books can be difficult. Read this section carefully before you create your list of literary agencies or contact literary agents for children’s books. * Children’s Books – Literary Agents Children’s Books: This category is a broad umbrella term that represents all literature for “younger readers” (ages 2-17), including fiction and nonfiction such as picture books, poetry, chapter books, middle grade books, and young adult books. The term “children’s books” is often loosely used (or misused) by children’s writers literary agents. For example, an agent might say on her website that she wants “children’s books” when she’s only interested in picture books and chapter books (and not middle grade or young adult books). * Picture Books – Literary Agents Children’s Books: This type of book is for children ages 2-9 and it contains a significant amount of artwork. The story may be told partially (or entirely) in pictures. Most picture books have 1,000 words or less. Children’s writers literary agents that represent authors of picture books often represent both writers and artists. Click here to find Picture Book Literary Agents. * Juvenile – Literary Agents Children’s Books: This is another broad umbrella term that includes two sub-genres or subcategories: chapter books and middle grade books. When children’s writers literary agents say that they represent juvenile books, it usually means they’re interested in both of the categories below. * Chapter Books – Literary Agents Children’s Books: These fiction and/or nonfiction books are for “intermediate readers,” usually ages 7-10, and they’re usually between 2-10,000 words. Although chapter books often contain many illustrations, they consist primarily of prose and they’re usually divided into short chapters. * Middle Grade – Literary Agents Children’s Books: This children’s book category is for readers ages 8-12, and the word count for a middle grade book is 20-40,000 words. Middle grade books can be fiction and/or nonfiction. Click here to find Middle Grade Literary Agents. * Young Adult – Literary Agents Children’s Books: This category of children’s book is for readers age 12-17. 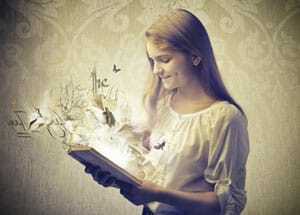 Young adult books can be fiction and/or nonfiction. They are 50-60,000 words. Children’s writers literary agents interested in young adult books represent many sub-genres such as: mystery, romance, adventure, career, success, etc. Click here to find Young Adult Literary Agents. Still not sure which book genre your book fits into? Click here to visit our Book Genres website. There you’ll find information on every children’s book category you can imagine. You’ll see a definition for the genre, along with any related genres or sub-genres. You’ll also see a list of book genre examples for each category. If you’re not looking for literary agents for children’s books click here for information about fiction literary agents or nonfiction literary agents.